We make a variety of errors in our writings when we asked to write an Essay in short time that too about a Fairly new topic. 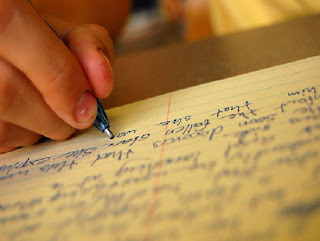 What follows is a list of things to avoid which weaken your essays and are actually considered wrong in essay writing. 1. DON’T MENTION THE ESSAY ITSELF. Example: “After reading this essay…” or “In my essay…” or “In this essay…” or “This essay will discuss…” etc. 2. DON’T MENTION ANY PART OF THE ESSAY. Use "for example" or "for instance" or "such as"
4. DON’T JUST STATE A FACT IN YOUR THESIS STATEMENT; DIRECT YOUR ESSAY. Example: “Orange juice in a box is good.” This thesis statement doesn’t direct your essay and is difficult to support in an essay. However, the thesis “Orange juice in a box is better than orange juice in a bottle” does direct the essay and is supportable. 5. DON’T START YOUR ESSAY WITH ONLY A THESIS STATEMENT. YOU MUST HAVE AN INTRODUCTORY PARAGRAPH AND LEAD YOUR READER TO THE THESIS. 7. MAKE SURE YOUR ESSAY HAS A MINIMUM OF FIVE PARAGRAPHS TOTAL. 8. DON’T USE ABBREVIATIONS LIKE YOU WOULD WHILE USING FB. Example: Using the letter ‘U’ instead of the word ‘you’ or the number 2 instead of the word ‘to’, etc. Also be sure to capitalize the letter ‘I’ when referring to yourself! I did many of the listed mistakes, and still to come out of some of them. Hope you do take care of your Essay writings taking these into consideration. It was a very nice article! Just want to say thank you for the information you have shared. This is nice article to read keep up the good work in future too. here in this blog is all about avoiding mistakes in writing. By following these simple steps we can write essays perfect.